Invited by the Minister of Foreign Affairs and Cooperation of Spain H.E. 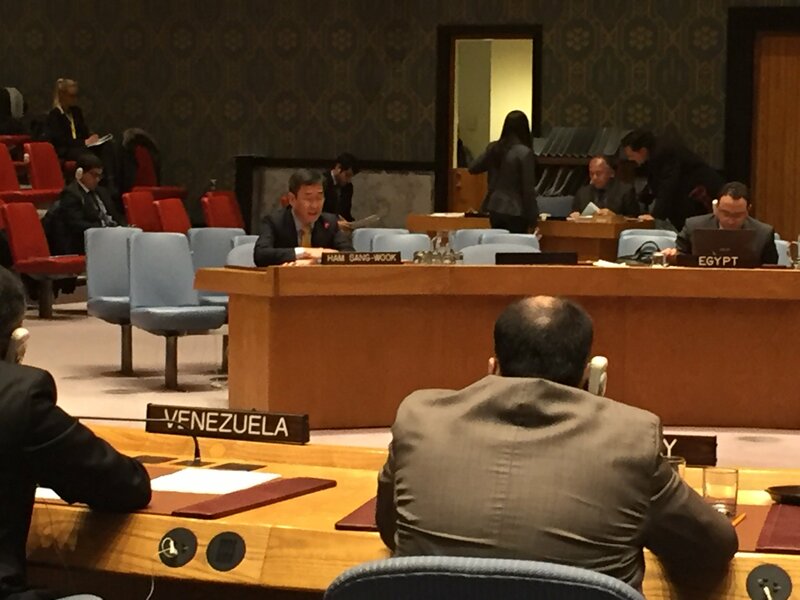 Alfonso Dastis, the MTCR Chair, DG Ham Sang-wook represented the MTCR at the High-Level Open Debate of the United Nations Security Council on the subject of “Preventing the Catastrophe: A global Agenda to Curb The Proliferation of Weapons of Massive Destruction by Non-State Actors” on December 15th, 2016. In his address, DG Ham underlined that the MTCR and UN Security Council resolution 1540 share the same goal: to stop the proliferation of weapons of mass destruction and their delivery means worldwide. He assured that the MTCR can be helpful in addressing gaps in export control among countries by sharing its expertise, experiences, and best practices. 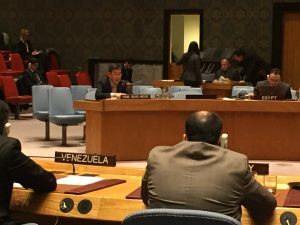 He also encouraged UN Member States to adhere to the MTCR Guidelines to further improve their implementation of missile-related export control. The Chair’s participation in the UNSC Open Debate served as a good opportunity to raise awareness of the UN Member States. He will continue to work with the 1540 Committee whenever the opportunity may rise.